This was clearly not shaping up to be one of ‘Mr. Dakar’s’ best-ever outings in his favoured marathon even before a penultimate-day crash injured new co-driver David Castera and thus brought on Peterhansel’s first retirement in a decade. But following his previous outings with the refined Peugeot cars, the new-ish Mini buggy is clearly much more of a work in progress, and it was Peterhansel who delivered the most convincing proof of concept for X-raid’s latest creation. 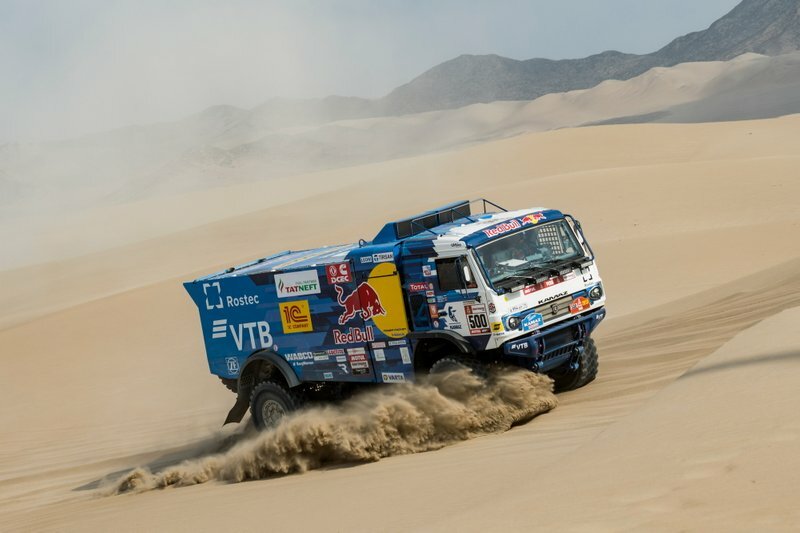 Nikolaev’s third straight Dakar win was truthfully somewhat by default, with Kamaz’s main challengers at Iveco falling apart early on, teammates Ayrat Mardeev and Andrey Karginov retiring at the rest day and the sole other Kamaz of Dmitry Sotnikov playing a support role. Then again, the now five-time Dakar winner had already pulled ahead even when all the aforementioned rivals were still in contention, as he picked up back-to-back stage wins to establish an initial lead. 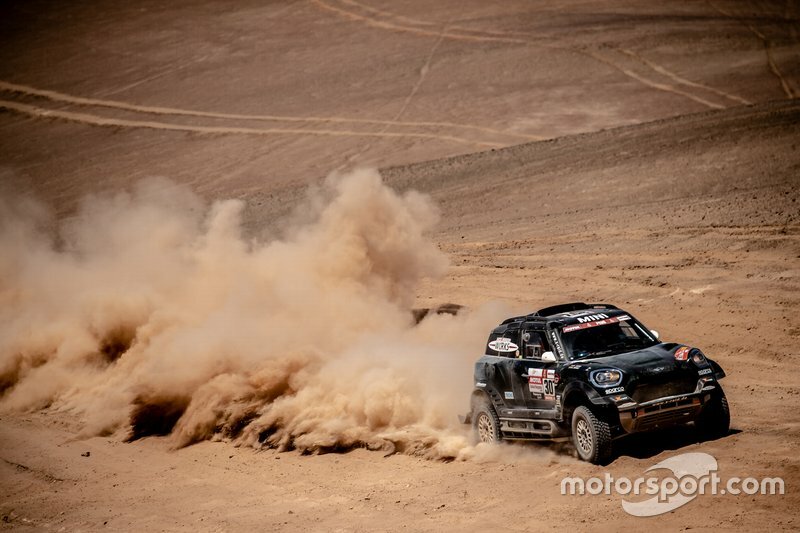 Despite finishing second, his first Dakar podium since his 2014 triumph, Nani Roma went rather under the radar at the wheel of his X-raid Mini 4×4. After all, he didn’t win any stages – albeit in a 4×4 that was not particularly well suited to the dune-heavy route of 2019 – and his position in the overall standings owed much to the more fancied Mini buggies, plus Peugeot privateer Sebastien Loeb, all hitting trouble. But Roma deserves credit for making few significant errors, while he also faced the disadvantage of the Mini 4x4s all running as individual crews, and not acting as ‘water carriers’ for each other like the Mini buggies and the Toyotas. A successful title defence in the now super-competitive bike class hasn’t happened since 2015, and Walkner couldn’t overcome the trend. 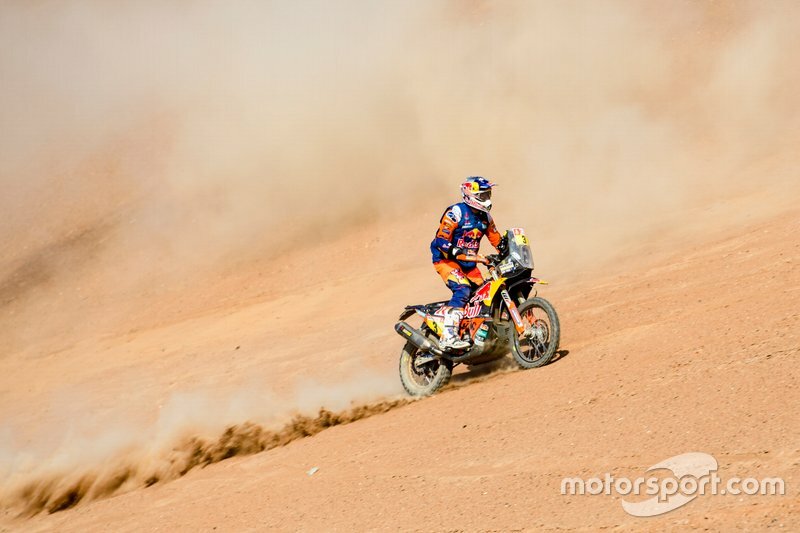 Still, Austrian had a solid event, firmly part of KTM’s triumvirate of top riders, even if he spent much of the rally outside of the top five after early setbacks. Continuing to impress against the odds, Quintanilla flew the flag for Husqvarna against some of the biggest motorcycle companies in the world such as Honda, KTM – Husqvarna’s parent company – and Yamaha. Ricky Brabec’s somewhat unexpected star turn may have stolen the show, but Quintanilla was right there with the American, the duo monopolising the lead battle for much of the rally. After Brabec dropped out, Quintanilla ran eventual champion Price very close until the end, only to crash while trying to make up a one-minute gap on the final stage. The defection to the SxS class of its two benchmark riders – Ignacio Casale and Sergey Karyakin – created serious question marks about just how competitive the quad class would be in the 2019 Dakar. Ultimately, it wasn’t much of a contest, but that was down to the masterful way Cavigliasso handled the event. 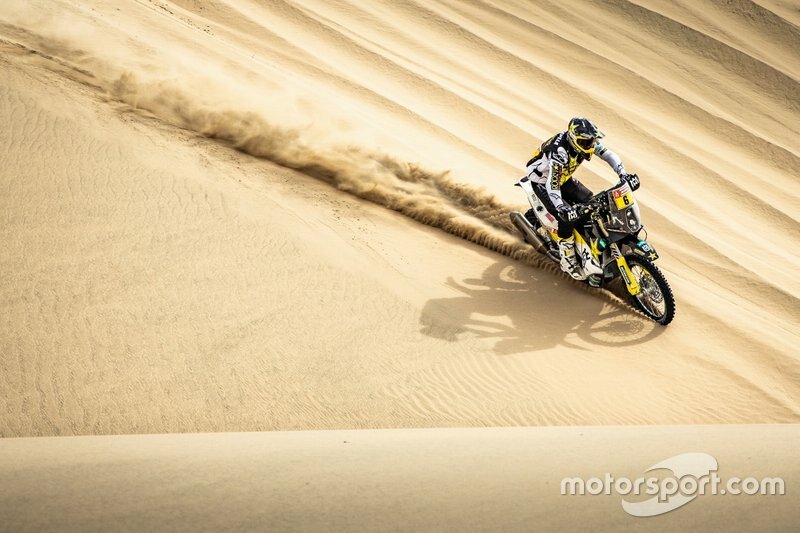 The Argentine, in what was only his second Dakar, won nine out of 10 stages – and in most cases it wasn’t even close. On average, he won his stages by over eight minutes. His smallest advantage was 3m55 in the opening, shortest stage of the event, while his only defeat was by less than two minutes. 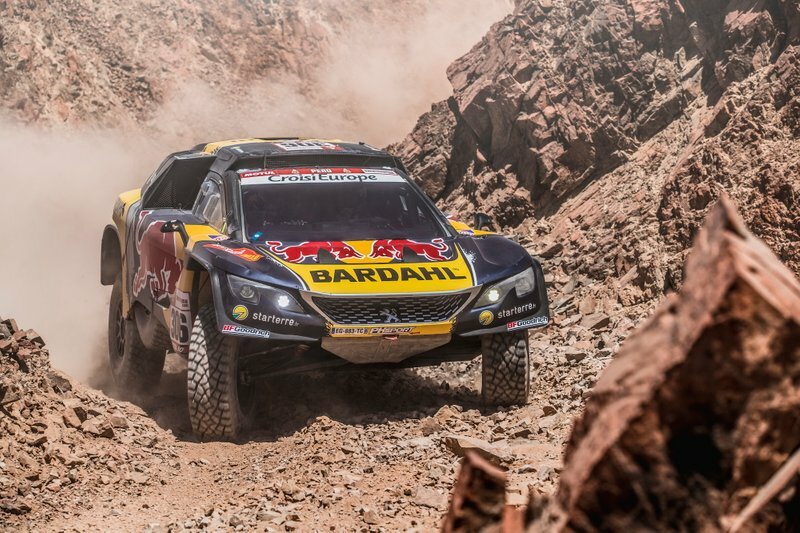 Only Loeb himself will know whether he was at all facetious in playing down his chances ahead of his fourth Dakar, as he pointed out his privateer status and a route that was to favour rally-raid regulars. In the end, this was clearly the nine-time World Rally champion’s most accomplished Dakar outing yet, and the experience gap did not show. In terms of sheer pace, Loeb looked in a league of his own, while long-time co-driver Daniel Elena was once more up to the task. “The key was too stay gentle, not too push too much, take no risks,” co-driver Baumel said of his and Al-Attiyah’s strategy after arriving at the finish. But even a cautious Al-Attiyah’s pace was too much for the opposition. 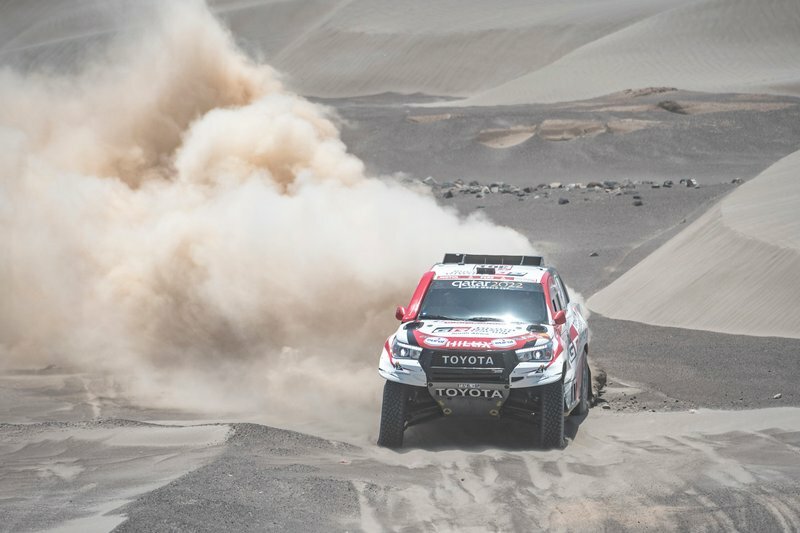 As soon as he pulled out a gap at the front of the general standings, the fight looked as good as over – the Toyota Hilux was bulletproof, and its crew was not making any big mistakes. Al-Attiyah insists a Dakar is “never easy” yet he sure made it look that way. Despite three stage wins, it was clear his speed wasn’t tested to its full extent. The Dakar has been waiting years for a new multiple champion in the bikes division to emerge, but with his second title Toby Price has established himself as the number one man of the post Coma-Despres era. Heading into this year’s edition, Price seemed the underdog within the KTM camp in comparison to his teammates, fellow champions Walkner and Sam Sunderland, owing to a testing crash the previous month in which he broke his right scaphoid. Still, if Price was taking it easy, he did a good job of concealing it. He didn’t win a stage until the one that really mattered – the decider – but he steadily ascended the overall standings, and he was the one that capitalised on Brabec’s unfortunate demise to take the lead and hold it to the finish line. The sight of Price having his long locks shaved off by KTM stablemate Laia Sanz in the Lima bivouac will be one of the abiding memories of the Dakar. The Spaniard made a bet that if she finished inside the top 15, she could deprive the Aussie of his trademark mullet; she came home 11th. If Brabec had not been struck down by engine failure on the antepenultimate stage of this year’s Dakar, and had he gone on to win, few would have begrudged the American his success. By his own admission, Brabec was not the favoured son inside the HRC camp. 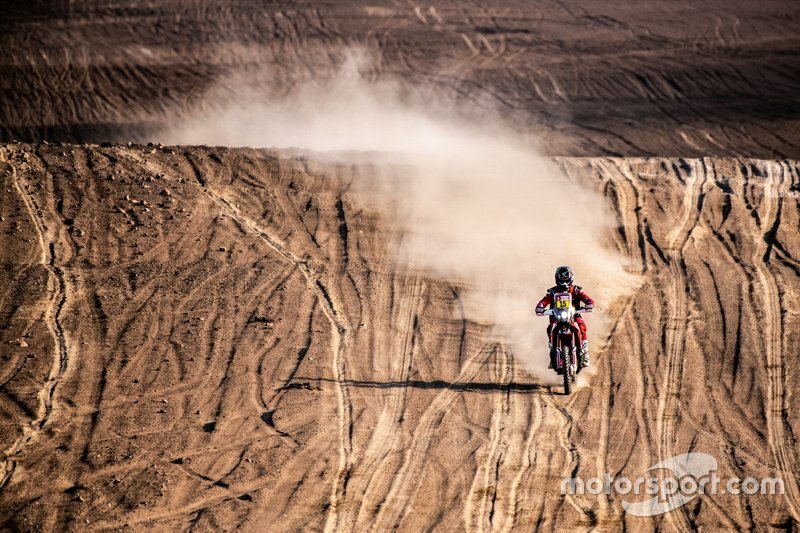 That status belonged to perennial nearly-man Joan Barreda, and once the Spaniard’s hopes of a first Dakar title vanished on Stage 3, Kevin Benavides. 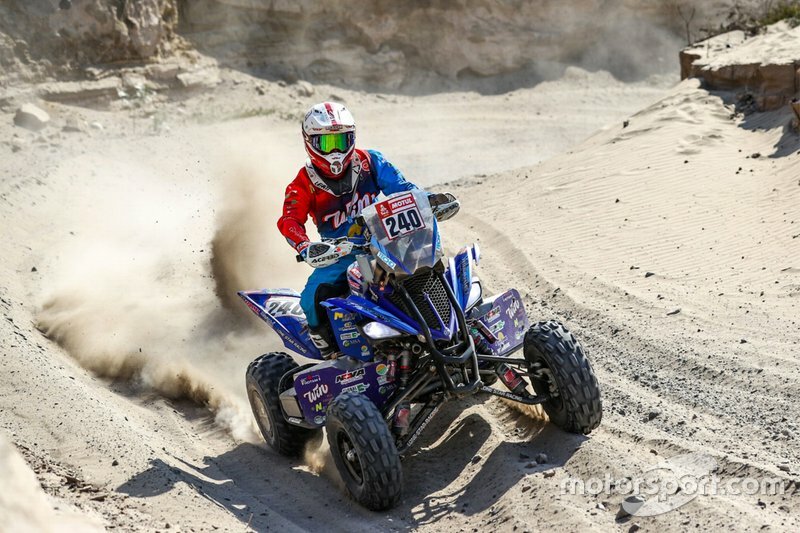 And yet, Brabec belied his relative lack of experience – this was only his fourth Dakar – to mark himself out as a potential contender with top-three finishes on the opening two stages, and then after a blip on the third day he dominated the fourth stage to take the overall lead. With only three stages to run he had amassed a cushion of seven minutes at the head of the field. Whether that would have been enough to hang on without his engine giving up on him will forever remain a matter of conjecture. But given the top three were split by only six minutes heading into the last stage, it would certainly have given him a very solid shot. Next A McLaren Senna, Or This Lot?